Kim is an urban planner, community nutritionist and food systems planning expert. She holds an undergraduate degree from New York University, a Master of Science in Food Policy and Applied Nutrition from Tufts University, and a Master of Urban and Regional Planning with a specialization in Community Health and Sustainability from Virginia Tech. She is also a registered dietitian. 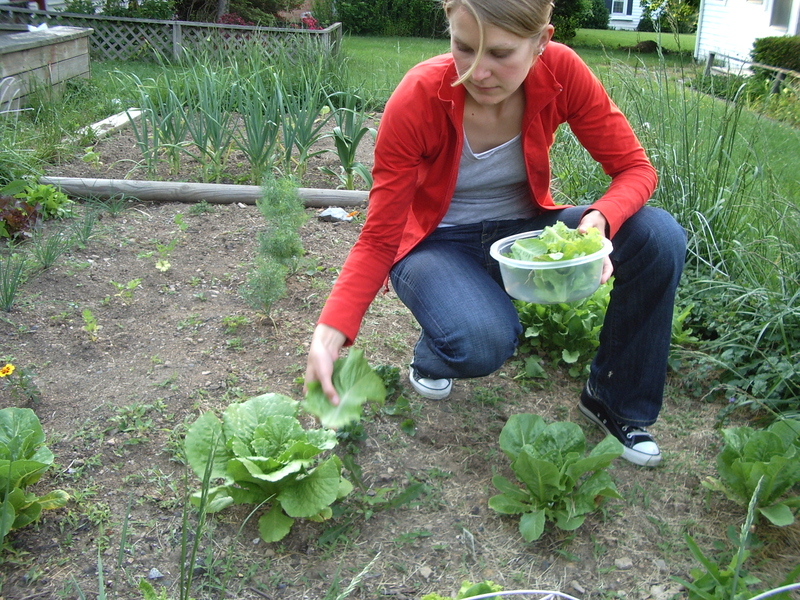 Kimberley is a member of the Vancouver Food Policy Council, the American Public Health Association’s Food & Environment Working Group, and a steering committee member of the American Planning Association’s Food Interest Group. She is passionate about the intersection of urban planning, food systems, public health, and sustainability. For the last 5 years she lived in the NE or Mid-Atlantic and was been fortunate to explore – in every sense of the word – the fruits, vegetables, restaurants, wine and beer of these regions. In New York City, she fell in love with the Union Square Green Market; in SW Virginia the amazing produce of 7 Springs Farm, Five Penny Farm, and her first ever garden; in Alexandria the summer and autumn community supported agriculture (CSA) share from Potomac Vegetable Farms, fruit and random veggies from Del Ray Farmers’ Market, and supplemental, exotic items from her Chinquapin Park community garden plot; the fall CSA share from Licking Bend Creek Farm; a variety of produce and dairy vendors from the Dupont Circle Farmers’ Market; and more recently the winter CSA and online market from Star Hollow Farm. This blog was inspired by numerous factors, but most importantly her husband, Rex, who encouraged her to share her epicurean, sustainability, nutrition, cooking, meal planning, and food systems planning knowledge with others. Please check back regularly, as this blog is constantly evolving. Kim recently moved to the pacific northwest. She currently resides in Vancouver with her husband and their dog and runs her own consulting business (Cultivating Healthy Places). John is an urban planner, writer, photographer, and urban gardener. He holds undergraduate degrees in Communication and Honors from Villanova University and a Master of City Planning and certificate in Urban Design from the University of Pennsylvania. An avid cook, John is interested in the intersection of urban design, sustainability, and food systems planning. Some of John’s earliest and fondest memories involve tending to a small vegetable patch with his mother in the backyard of their Staten Island home. The process of growing, harvesting, cooking, and sharing their favorite crops – tomatoes, string beans, peppers, and eggplant – was something he looked forward to as the warm weather rolled around. These days, he is limited to container farming on the balcony of his New York City apartment. He is inspired by the idea of cooking with local, seasonal ingredients from his CSA and looks forward to sharing his favorite recipes – and seeing what Kim does with her bag of produce! John is a member of the American Institute of Certified Planners. He currently resides in New York City. You can read more about John’s passion for urban agriculture at http://growninthecity.com/. Sweet! Awesome pic, too! I was wondering if that was a stock photo at first… well done! you should blow it up and put it in your kitchen!! Kim — this is a great idea (and kudos to Rex for encouraging you)! I’ll look forward to borrowing your recipes! What a fantastic website. The photos alone are inspirational. Maybe I will put on my cooking dress tonight! glad I found this! I am a landscape architect / urban designer. we are very interested in improving our local foodsheds and besides designing a few farmers markets, we try to incorporate community gardens and urban ag into our master plans. also, my girlfiend is director of sustainable agriculture for a local non-profit geared towards promoting local everything. EVOO stands for extra virgin olive oil. Sorry about the confusion.